Quirk Books editor Jason Rekulak developed an ingenious literary idea in 2009. 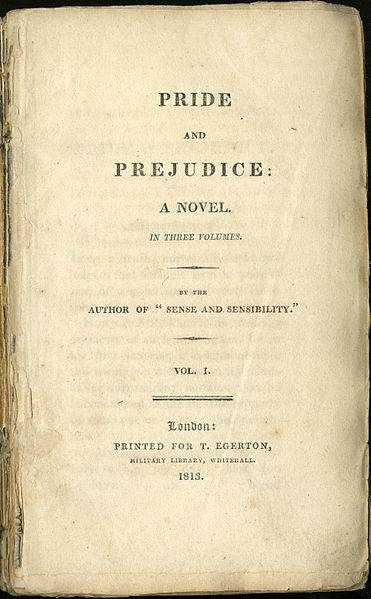 Take a classic novel beloved by individuals around the world that all of those individuals remember reading and/or avoiding reading in their sophomore year English classes. Make sure whatever novel you took is also in the public domain. Then mash up your chosen novel with an unexpected genre that has a particular appeal in Western pop culture. That was his equation for the internet beloved and mainstream media liked Pride and Prejudice and Zombies and that title’s spiritual sequel Sense and Sensibility and Sea Monsters. An adaptation of that equation also factored into Pride and Prejudice and Zombies’ writer Seth Graham-Smith’s subsequent work, Abraham Lincoln: Vampire Hunter. And another adaptation of that equation could be seen as the driving force behind Hank Green (who’s one half of the incredible Vlog Brothers) and Bernie Su‘s (who’ behind the Streamy Award-winning original web series Compulsions) latest online video program. The Lizzie Bennet Diaries is Jane Austen’s classic Pride and Prejudice tale of manners, morality, and marriage updated from 19th-century England to 21st-century YouTube. The web series is more or less the videoblogging efforts of one presumably upperish-middle-class (at least by initial appearances) 24-year-old grad student, Elizabeth “Lizzie” Bennet (played by Ashley Clements) and anyone else who stumbles into frame (like BFF Charlotte, who operates the webcam and Lizzie pulls onto screen) and/or Lizzie decides to impersonate (like Lizzie’s mom, Mrs. Bennett, who one might say is overly concerned with her daughters finding a suitable – aka rich – life partner). Pretty great, right? I think so, too. Especially with the not-so-subtle nods to the original Austen, the jumpcut-but-not-too-much-jumpcut editing style characteristic of Vlog Brothers programming (which makes sense, considering Hank Green edits the series), and the emphatic-but-still-very-believable acting. When you hear about a program as intriguing as The Lizzie Bennet Diaries you want to learn more about it. So, I caught up with Creators and Executive Producers Hank Green and Bernie Su a few weeks back (Jenni Powell is also a Producer, but she wasn’t on the phone) to gain some context about the program’s conception and learn how you bring the British landed gentry of the 1800’s to American online video consumers of the 2010’s. Tubefilter: This is genius. How’d you come up with the idea? Hank Green: My wife and I are huge Pride and Prejudice fans [Editor’s Note: They’re such big fans they often refer to book as P&P.] and we’re obviously huge online video fans. One thing I noticed about the world of web series is that there are a lot of series where characters talk to the camera. That vlogging style is kinda ignored, but it’s been really effective. The Guild, Dr. Horrible, Web Therapy, and lonelygirl15 are all really great examples. I knew the P&P story very well, and I’ve watched it in all of its versions dozens of times. My wife even has an annotated P&P that explains a lot of what you wouldn’t normally get in a regular reading. I thought videoblogging would be a really good outlet for the story. Also, the novel is old, which is nice, because it’s in the public domain. TF: How’d you hook up with Bernie Su? HG: I met Bernie at a Google event at a Mexican bar in Mountain View. I don’t know how to do fictional things on the internet very well, but it’s something I’ve wanted to do. I pitched the idea to him and he liked it. TF: So, how’d you update P&P for the YouTube generation? HG: We maintain the integrity of the characters and ask ourselves questions like, “What would they be like if they lived now?” You can write for a modern audience without too much trouble. We also got some Austen fans and screenwriters to help us with the writing. They know the characters from the novel very well. TF: What’s the format? Solely videoblogging or will there be other live-action elements? Bernie Su: The main format is basically Lizzie vlogging. She keeps a video diary of what’s going on in her life. But this isn’t like lonelygirl. In that series, Bree was in her room and characters sometimes took their handicams around the world and documented everything they did. Our series will stick in closed locations, but there will be things happening in those locations that will facilitate the story. It’s also very important to make the vlogging believable. There are so many shows that use the vlog style to give viewers information from a character I never believed would ever vlog. That takes viewers out of the story. We had to tweak Lizzie’s character a bit to make her the type of person that would talk about herself in front of a camera. The show wouldn’t make sense otherwise. HG: We’re also not going to have all the characters be on-camera characters. Lizzie is going to play a lot of the characters. It’s kind of like how HappySlip will impersonate members of her family in her videos. Lizzie will do the same thing. BS: You get to hear from all the other characters, but buffered through Lizzie’s point of view. HG: It also really helps keep the budget down. TF: Who’s the audience here? HG: My experience with YouTube and online video is you’re a lot better off making content for the audience that’s comfortable and familiar with that format. At this point that’s anywhere from 13 to 25, maybe anywhere from 13 to 30 if you cross your fingers. I’m thinking our audience will be on the upper end of that. Hoping for college-age, a little younger, and a little older. TF: Will you make this interactive at all? If so, how will you do that within a fixed story? BS: You make sure the interactivity you present can’t change the primary story. You can never put it to the audience to decide if Lizzie can go on a date with Darcy. But you could ask the audience something as simple as, “What dress should I wear?” or “ What could I tell Jane?” You can have interaction with characters that aren’t big plot points. TF: What’s the goal? How will you measure success for this series? HG: My goal is viewership and level of engagement. That’s what excites me. And with those things come profitability. I don’t like to expect any of that, though. I just try to figure out what people enjoy and make that. And not only enjoy, but become dedicated to. When that happens, there are some benefits both monetary and nonmonetary. BS: I want the chance to do something new in storyelling. This is also really innovative. But if I have to pick one thing, my measure of success will be viewership. It will show the format and the choices that we made in the story are engaging and the audience responds to them. TF: Do you already have other classic, public domain books lined up? Will we see The Edmond Dantès Diaries sometime soon? HG: It’s hard to keep your eye on the prize. We, of course, think about expanding the format, but there’s a lot to it. BS: It’s pretty taxing to be able to pull off the entire story in this format. To tell the whole book it will probably take us a year. For now, we’re focusing on this first one. And I’ll be watching. Installments are scheduled to be released twice a week, with an approximate runtime of anywhere from two-to-five-minutes. The days between episodes will be filled up with interactive activity on Lizzie’s Tumblr and Twitter. Be sure to tune in.